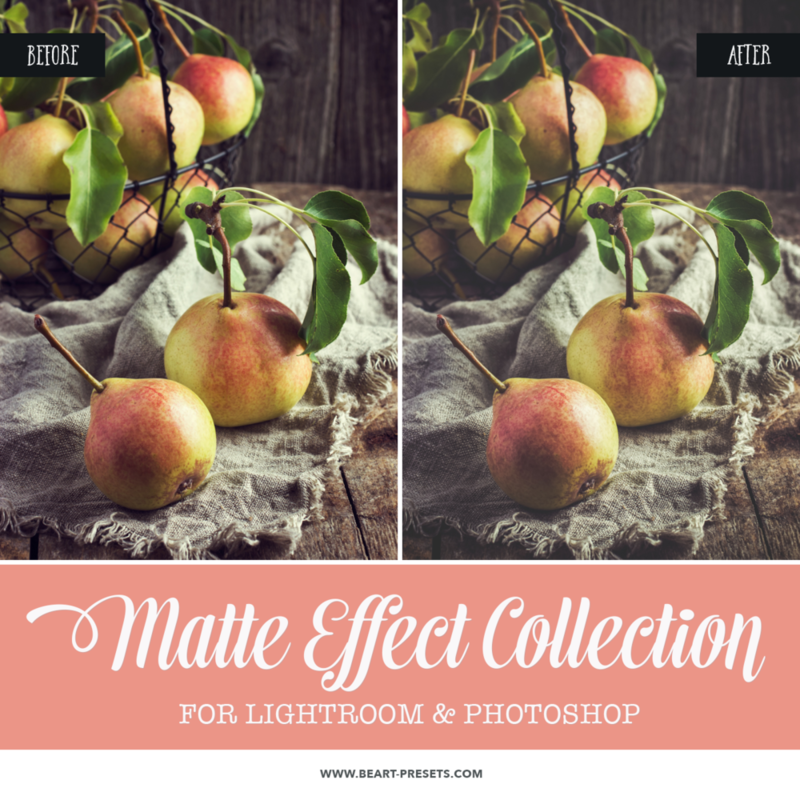 Matte Lightroom Presets, Adobe Photoshop Actions and Camera Raw Presets Collection will give your photographs a beautiful, faded and stylish finish. This is a comprehensive suite of Lightroom Presets, Photoshop Actions and Camera Raw Presets designed to drastically improve workflows for processing and editing your photos. 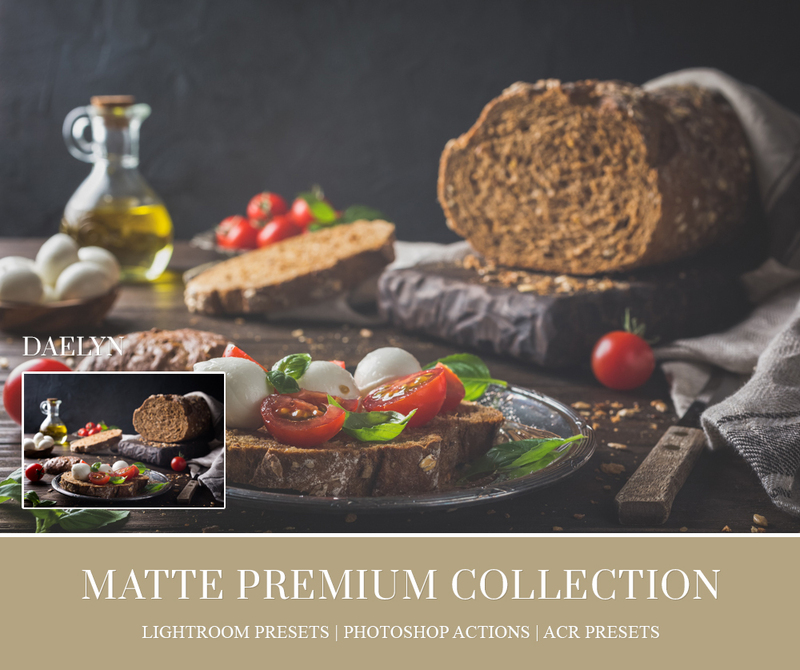 With this collection, you will be able to quickly and easily add a professional finish to your images. Photo editing in the digital age requires a fair amount of skill and patience in order to run with the big dogs. Knowing your editing programs and the capabilities of each and every tool can be incredibly daunting, but beneficial to even the most inexperienced of photographers. But, really, who has the patience to learn the ins and outs of every photo editing software, let alone the time to actually use it all? With Presets and Actions from BeArt, the days of endless clicking, testing, and backtracking are long behind you. You no longer have to worry about finding the right tones or balances and forget to create multiple layers of gradients and exposures. It’s now as simple as choosing an option from the drop-down menu, and deciding which filter fits your photo best. 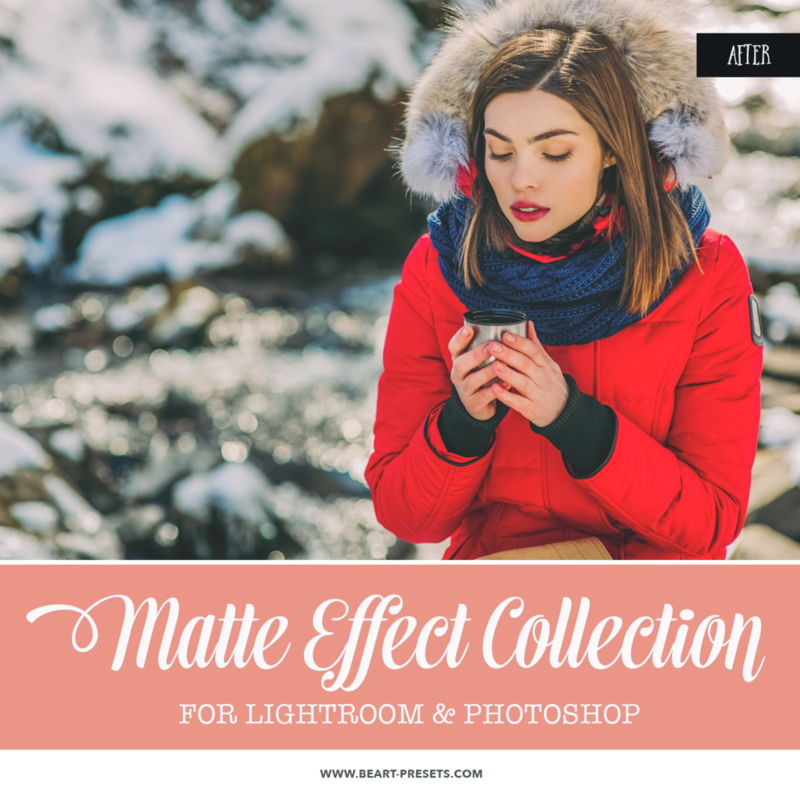 Click through a few, try them out, and enjoy the efficiency of Matte Lightroom Presets and Photoshop Actions. 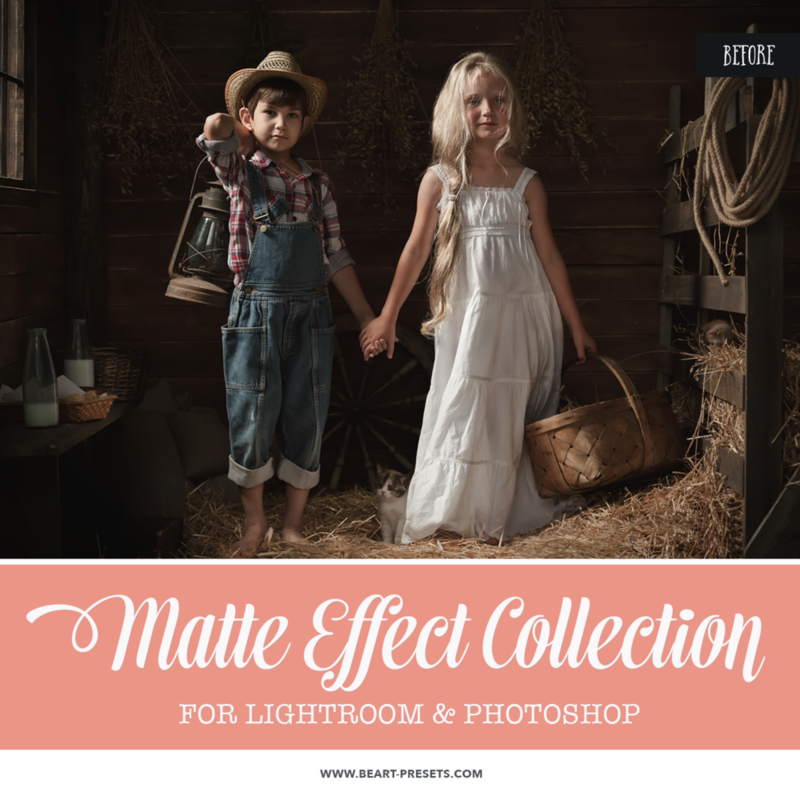 With our Matte collection, you can quickly and efficiently give any photo that subtle professional finishing touch, whether it be a wedding collection, your child’s birthday party, graduation day, or even just a fun day at the beach. Each filter provides a unique tone or texture to your photos, providing endless options for turning even your most basic camera phone photos into beautiful works of art. 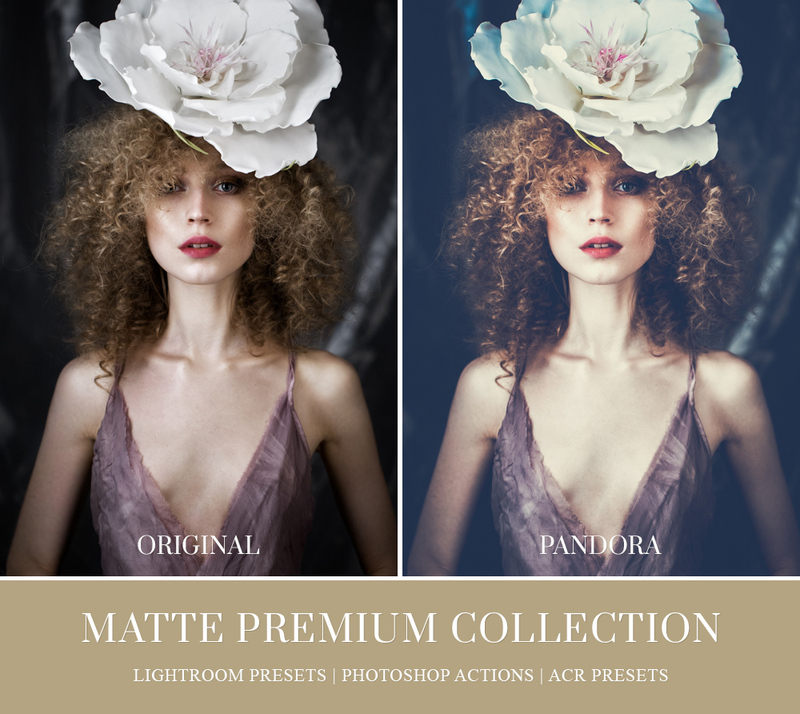 Matte Photoshop actions and Lightroom Presets collection has a long-awaited update, and it’s the most powerful and stylized update yet. Meet the 2nd Edition of our best-selling collection. 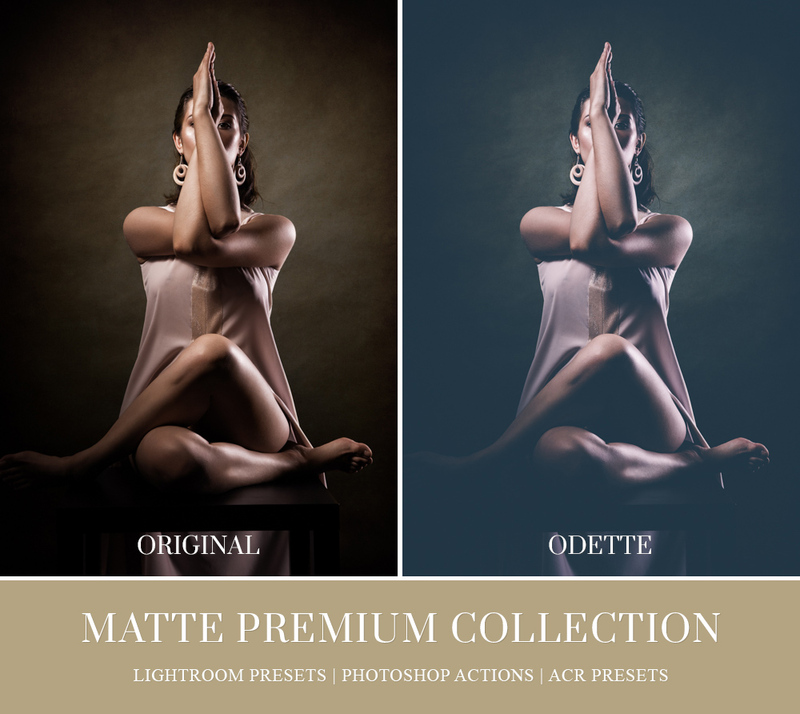 Get fully redesigned a new set of Lightroom presets & Photoshop actions. 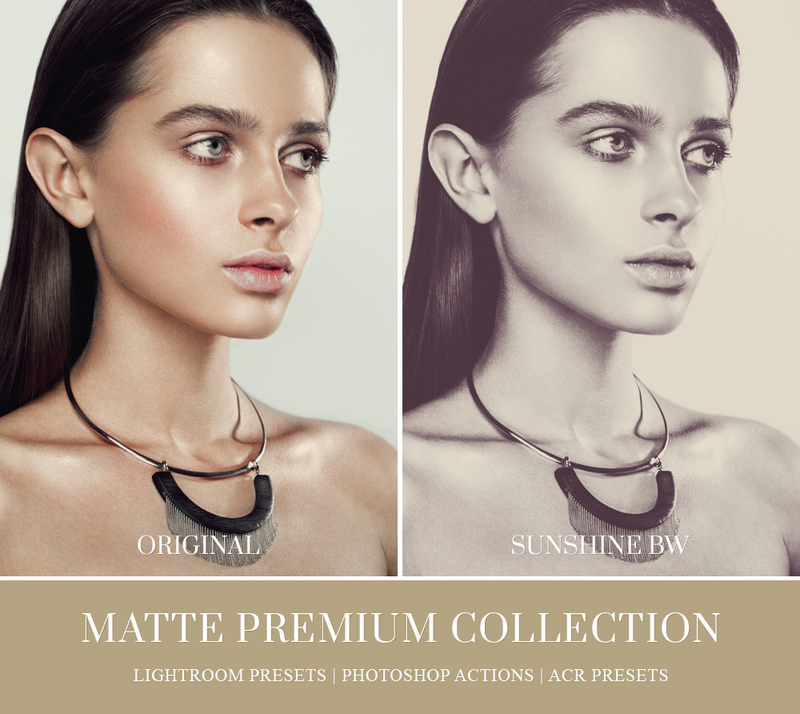 It's compatible with Adobe Lightroom, Photoshop, and Adobe Camera Raw. 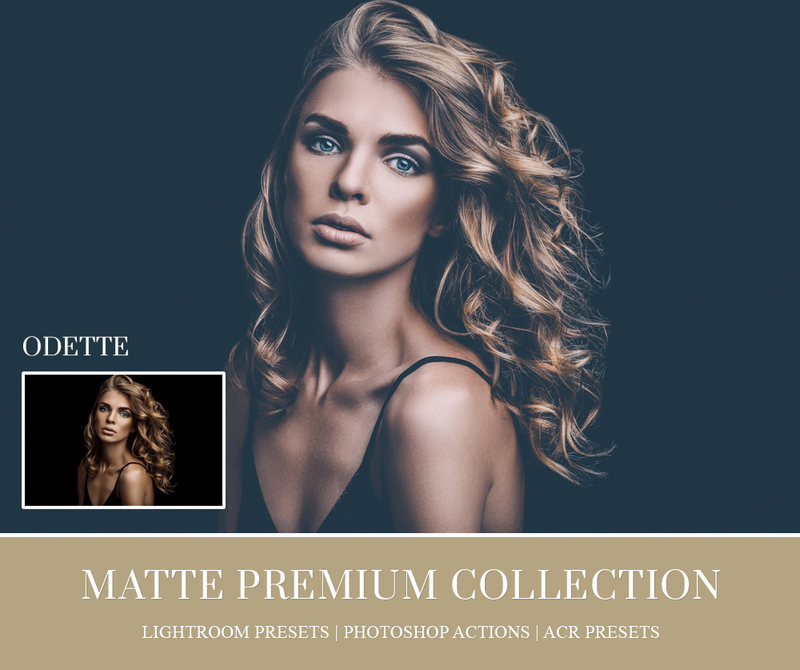 With 40 presets for each program, this comprehensive package is sure to meet any photo editing need that may arise and is easy enough for even the most inexperienced editors. 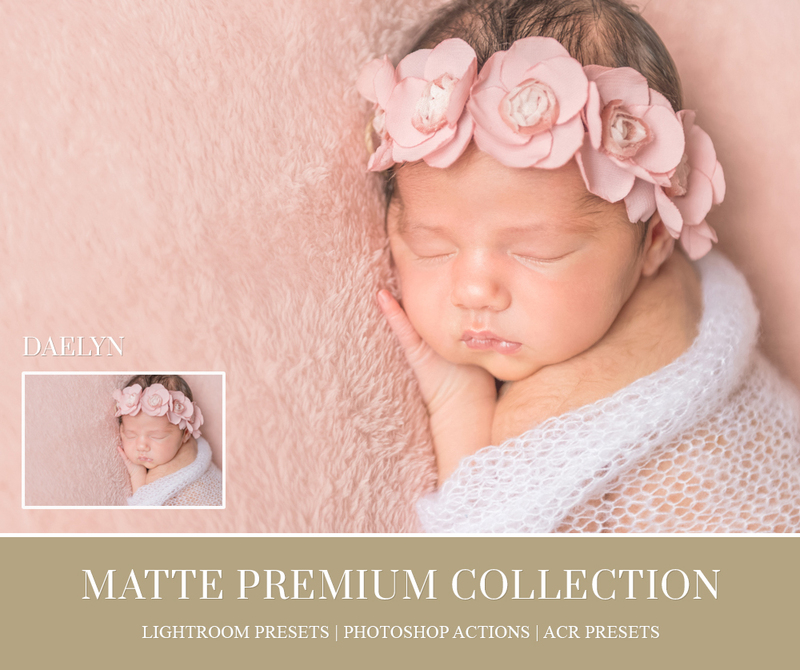 By choosing your presets from BeArt, you can be sure that our affordable prices and ease of use will make your photo editing experience one of pure joy and artistry.